An elementary school in San Jose was placed on precautionary lockdown Tuesday morning while police investigated an online posting referencing the school. Anoushah Rasta reports. An elementary school in San Jose was placed on precautionary lockdown Tuesday morning while police investigated an online posting referencing the school. 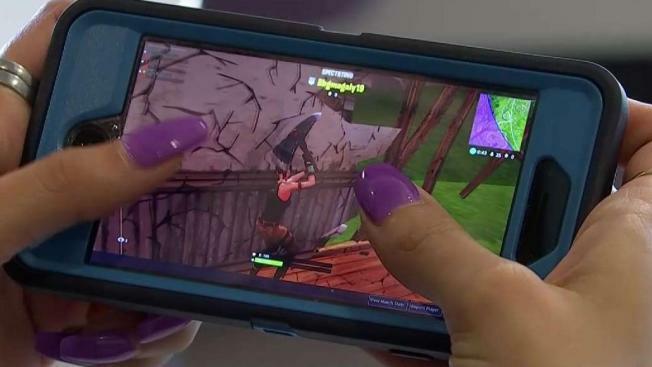 Sartorette Elementary School officials said the school district received a message from a parent reporting a threat posted inside the popular online video game Fortnite Battle that referenced the school site. The game is one of many that allow players to talk to each other and write messages. "It was kind of disturbing because it kind of immediately associated with the shootings that have happened," parent Maksim Shmukler said of the lockdown and threat. Several parents said they learned about the lockdown through an automated robocall from the school district. An all-clear was given on campus by police before 10:30 a.m.
Police later said the incident was a prank made by an 11-year-old student to a friend. Officials also said no police action was taken.